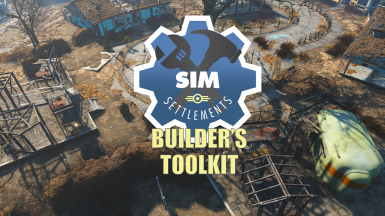 Modified version number of the Builder's Toolkit, it will now follow the same version as the latest version of Sim Settlements that it covers. My name is gamer710 on nexus and I would like access to your discord channel to learn how to use the faction toolkit. 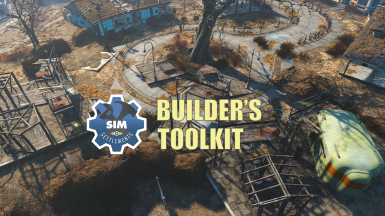 I am new to modding but would like to learn the Creation Toolkit and your builder and faction toolkits. Hi, Wish me luck I am gonna give it a try. Never done anything like this before and have just started using mods approximately some over a year ago?? Have plans to some Day create maybe guns and other stuff but figured I would start here when there seems to be a good tutorial for getting started and I love this mod!! I followed the tutorial and created a building. Now I want to test it like kinggath did it in the vid by typing cf "testbuildingplan" (id) in the console, but I get the message "no script attached to object contains a function...". Can someone get me a hint what I'm doing wrong? Is there a reason you don't use static stage models on interior plots for lvl 1 - 3 and instead just use a marker? Is that unsupported? Uituit has it correct. You can absolutely use stage models for Interior plots. Any chance you'll release tutorials explaining how to impliment some of the new changes added in industrial revolution? Especially on branching building paths and animated objects. Just happened to see this - that is covered in the tutorial series as well. As an alternative I read somewhere something about .esl files but don't know if that's ready for prime time yet and it would still clutter the plugins.ini/loadorder file... Maybe someone more knowledgeable could give his/her thoughts? Unfortunately it's impossible to not have an esp or esl file, one or the other is absolutely required for add-on packs. There are some ways on your end in which you can mitigate the 255 problem, unfortunately it is necessary for the best experience. Advanced way is doing merges/bashed patches. Other way is keeping a personal ESP and where possible adding armor through your ESP rather than the mod's ESP. Unfortunately there is the issue of modifications so I only do this for outfits that can't really be modded outside of generic stuff like purely stats. Customizable stuff like Niero's and others are difficult, so I just use their ESPs and use my own for other mods which would be easier to add into my own ESP. ESL has limits on how many records can be used and the limit itself actually varies based on the total number of ESLs installed. So long story short for Sim Settlements addons unless it is a very small addon like IMO tiny enough that it really ought just be beefed up before releasing it will not be able to fit in an ESL. You can't really edit the ESL after the fact either, it is advised for author to keep ESP & work from that for updates. Also, a big issue is that ESLs load after ESM but before ESPs, this is fine unless an ESL has an ESP as a dependency then the ESP will be loaded earlier which of course will cause a bunch of issues. So if we used any building pieces mods then doing the addon as ESL will change your load order. Unfortunately my addon uses such mods therefore it can't be an ESL. There are multiple records involved with each building. So the best thing is just to stick to ESP format here. I am a bit hesitant to use ESL because of the dynamic nature of the limitation. I feel like it might become an option for armor/weapon mods. Someday we might have all our armor/weapon mods be ESLs besides the big compendiums. I might offer both with my addon when it gets done but I need to look into it more in order to be sure if it is worth it. the technical stuff: The engine can run a maximum of 4096 .esl files at a time, this amount decreases the more form IDs each individual .esl file contains. A single .esl file can contain a maximum of 2048 form IDs (800 to FFF), if all your .esl files contain this maximum of 2048 form IDs, the engine can run a maximum of 300 .esl files at a time). Also remember that armor mods like Niero's have a ton of options, for each of those there are a bunch of records for it. There are a few weapon mods with hundreds of possible modifications as well. Thank you for sharing your knowledge! You rock! Hi, can I have an invite for the Discord Channel? I<m really interested in helping out for this amazing mod. A question: Is it possible to add a new plot type (instead of commercial 2x2, residential etc)? I have an idea for a theme that I think would work well in Sim Settlements, but it wouldn't make sense if it was included in the standard list of structures. Not for a while yet. I have a lot more plot types I'd like to add, and I don't want us stepping on each other's toes. Once I feel like I've added everything I want, I'll open source it and you guys will be able to add your own plot types. hey i've been toying around with the tools and i've made one or two little things but there is something i dont really understand. What's the difference between the "2x2 editor helper" and the "size A editor helper" and same question for the alignment helper. The choice of size to use is up to you. The 2x2 is the larger of the two.